Excellently suited for use as potting soil. Planting plant buckets, flower pots, etc. Just place »Natur Pur« plants from Busch in the soft mass, finished! The clay mass can be easily spackeled with other material i.e. : wood. In layouts with unpaved or dirt roads, the wheel tracks can be made to look 3-dimentional by rolling the vehicle through the soft mass. After it hardens the tracks will permanently visible. Perfect for designing small details i.e. : cactus plants and sand hills. Ideal for doing various repair work. 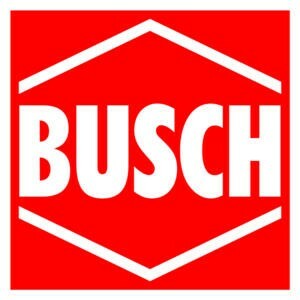 Aside from model train and diorama building, the Busch model building clay can also be used in the household for decorating items.